The cordon put in place following last year's devastating blaze at Belfast's flagship Primark shop has been reduced again. Last month, a walkway linking Fountain Street to Castle Street in Belfast was opened, providing a much needed boost for retailers in the city centre. Belfast City Council has now reopened the footpath from the corner of Donegall Place to the corner of Fountain Street. Abacus Beads, which was relocated in the wake of the fire, has also been reopened. Retail NI Chief Executive Glyn Roberts said the move will enable the last few traders in the area to reopen their businesses and reconnect Castle Street traders with Donegall Place. “While this is a step forward, a huge amount of work is still needed to fully rejuvenate that part of the city centre impacted by the Primark fire,” he said. 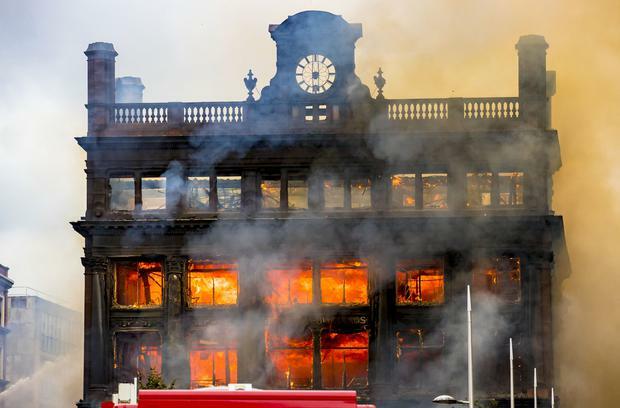 The fire that ripped through the Primark store last August forced the closure of a main city centre junction for months, badly hitting trade. Several businesses within the cordon had to shut there doors due to the drop in footfall.